Please note: this Bulletin is being put on the website one month after publication. If you would like to receive the Bulletin by email as soon as it is published, please contact the Membership Secretary about joining the Lewes History Group, and to renew your membership at the start of the calendar. This talk and accompanying film will look back to the Lewes floods of October 2000 that brought devastation to the lives of hundreds of local people and businesses. Many still remember it vividly, including the extended periods spent trying to get homes and premises back to some kind of normality. Mick and Christine were both amongst the victims. A decade on, in 2010, Christine Hall and co-director Wenda Bradley managed ‘After the Flood’, a project that included an exhibition of flood memories, photos, art, poetry and music. Now, 17 years later, Christine and Mick of Artemis Arts are revisiting the impact on the town and its residents with the film and an illustrated talk. ‘The Darker Shades of Sun Street’, written by Frances Stenlake, with specially adapted music by Valmai Goodyear and acted by a team from Lewes Little Theatre led by Joyce Fisher, as seen at our November 2016 meeting, is being performed again at three Lewes venues this autumn. You have another chance to catch it if you missed it last time, or if you simply want to see it again. Westgate Chapel, Sunday 15 October at 2.00 pm. Tickets £5 on the door. Lewes Little Theatre, Sunday 22 October at 3.00 pm. Tickets £5 to include tea and cake, but please book in advance, in person or by phoning 01273 474826, at the Theatre Box Office. Lewes National Trust at Priory School, Thursday 9 November at 7.30 pm. Free for members, non-members £4 on the door. As many of you will be aware Lewes Town Council are restoring and documenting many of the pictures in the Town Hall. 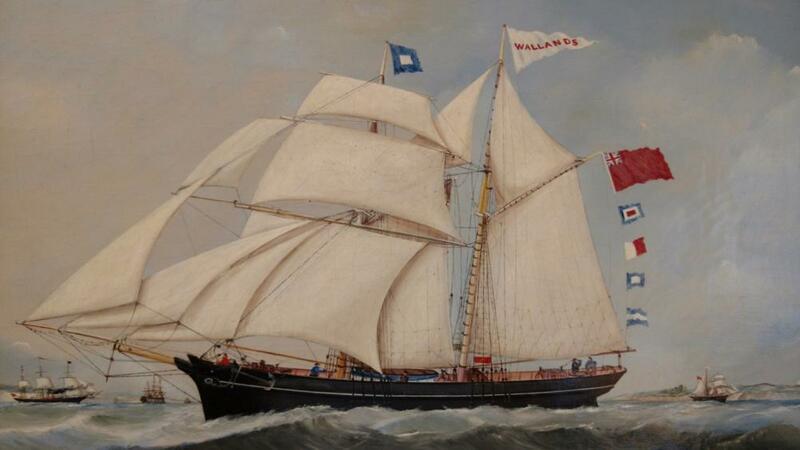 One of the pictures of interest depicts SS Wallands, which was a 185 ton schooner-rigged vessel built for his own use by Lewes timber merchant Edward Chatfield. It was launched from Bridge Wharf on New Year’s Day 1866. Lewes Town Council are keen to get some help to look into the history of the vessel. If anyone would like to follow up on this or have information about the SS Wallands please contact Sarah Bayliss at Sarahbbayliss [at] gmail.com directly. Was she listed at Lloyds? Where did she sail to? What is known about Edward Chatfield and the Bridge Wharf? Who sailed in her, and who was the captain? Editor’s note: One or two of the answers to the Town Council’s questions can be found in John Farrant’s article ‘Shipowning at Newhaven in the later 19th Century’, published in Sussex Industrial History, No.8, pp. 17-23 (1978). Of the 17 ships registered with the port of Newhaven in 1872 eight had Lewes owners. One of these was the ‘Wallands’ owned by Edward Chatfield of Lewes, timber merchant, which had a crew of 9. It was recorded taking timber to the Tyne in 1866 and 1870. Robert Hillman of Lewes owned the ‘Galway Lass’, 201 tons; the ‘Henry Benness’, 186 tons, 6 crew; and the ‘Topsy’, 159 tons. George Newington of Lewes, merchant, owned the ‘Tagus’, 201 tons. Stephen Tanner of Lewes, watchmaker, owned the ‘Olato’, 188 tons, 9 crew; and the ‘Zenobia’, 190 tons. William H. Tanner of Lewes, shipowner, owned the ‘Merchant’, 232 tons, 8 crew. 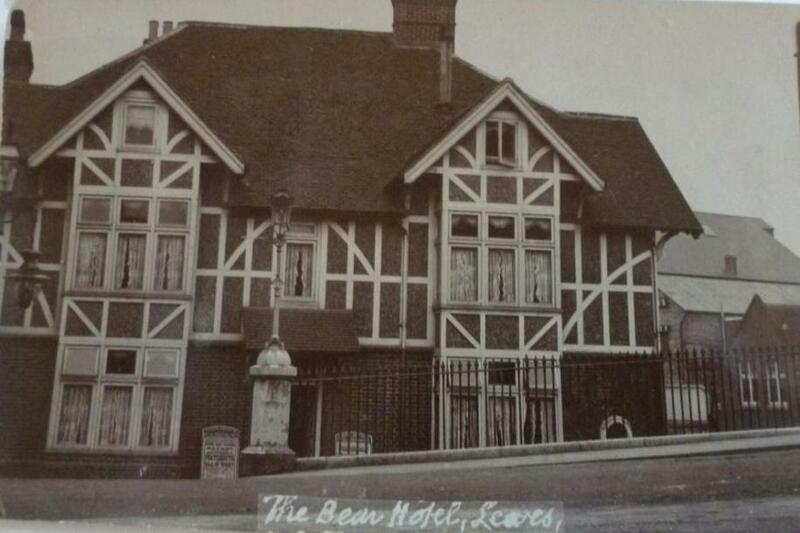 This postcard of the Bear Hotel, Cliffe, by an anonymous publisher, was postmarked in 1918, the year before it burnt down. When offered on ebay it sold for £44. This postcard of Toronto Terrace, also by an anonymous Edwardian publisher, sold on ebay in September for over £80 after very competitive bidding. The list below of British patents filed by Lewes inventors is taken from the free Espacenet database, which holds PDFs of British patents from 1893 onwards. The description, normally accompanied by drawings, can be seen by requesting e.g. publication number GB189518269 [i.e. the year of application plus five digits]. From 1916 assigned numbers changed to a series from 100001, e.g. GB102555, in the order of accepted for publication. This was not the same as being granted a patent, as a final “sealing” fee has to be paid. This explains the occasional “void” stamp on documents showing that it was never granted rights. The titles given below are often abbreviated. The names, address and occupation details are as given in the patent application. Propelling mechanism for cycles. William Kennedy, Lewes, gentleman. Construction of unsinkable ships. Edward Samuel Norris, Baron’s Down, Lewes, Director of Docks Joint Committee. Wick sustainers for night-lights. Silvester Thrush, 15 St John’s Terrace, Lewes, foreman of candle factory. Apparatus for facilitating the escape of gas from electric storage batteries. Walter James Wells, 219 High Street, Lewes, electrician, and Allan and Adamson Limited, 88 and 90 Tabernacle Street, City of London, electrical engineers. Device for use in taking impressions of teeth and dental cavities. Montague Fuller, 196 High Street, Lewes, dentist, and the Dental Manufacturing Company Limited, of 6 Lexington Street, London, W.
Means for exhibiting advertisements, pictures, designs and the like. Robert William Brett, 31 Cliffe, Lewes, engineer. Portable apparatus for timing the speeds of vehicles over measured distances. Edmund James Hartell Long, 54 High Street, Lewes, electrical engineer. Combined spirit level, plumb and view finder for photographic, artists, and general use. Algernon Brooker of 34 St John’s Hill, Lewes, chemist and druggist. Greenhouses. Robert Murrell, Well Green near Lewes, engineer. Pneumatic and other plastic wheels for vehicles. Ernest Charles Wade, 64 High Street, Lewes, Inland Revenue. Implement for wiping or washing floors. William Kennedy, New Levels, Lewes, gentleman. Stocking suspenders or supporters. Sophy Goldthwait, The Avenue, Lewes. Attachment for reels of cotton and other thread. William Kennedy, Woodmancote, Prince Edwards Road, Lewes, gentleman [Refers to his GB191001070]. Combination connector adaptor for electrical fittings. Archibald Milham, 3 Dorset Road, Lewes, electrical engineer. Packing for pistons. Hugh Jones Williams, The Bungalow, The Avenue, Lewes, electrical engineer. Self-adjusting seat or support [for artists or draughtsmen]. 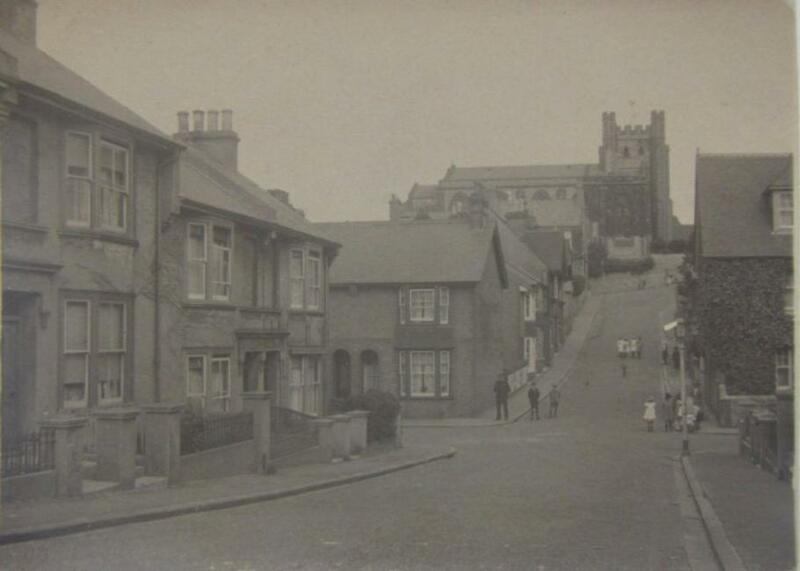 John Every, The Croft, St Annes, Lewes, engineer. Prevention of leakage of gas from one heated tube to another in close proximity. Ernest Victor Clark, 50 St Anne’s Crescent, Lewes, metallurgical chemist, and Harry Etchells, of 231 Oakbrook Road, Sheffield, metallurgist. Direct reduction of iron or other ores. Crossley Anderson Montgommery Buckley, of 17 Drewstead Road, Streatham, London, engineer, Ralph Cyril Vernon Whitfield, of Granville House, Redcar, Yorkshire, metallurgist, and Ernest Victor Clark, 50 St Anne’s Crescent, Lewes, metallurgical chemist. Four-stroke-cycle internal-combustion engines. Guy St Barbe Sladen Watkins, gentleman, of Coombe Place, Lewes. Letter-sheets. Costantin Anastase Lembesis, antiquary, of Greece, but having domicile at Lewes House, Lewes. GB102555 (1916). Crank shafts for fluid pressure engines. Guy St Barbe Sladen Watkins, gentleman, of Coombe Place, Lewes, and Georges Funck, engineer, of Violette, Quinton Road, Coventry. GB104796 (1916). Internal combustion engines for use on aeroplanes. Guy St Barbe Sladen Watkins, gentleman, of Coombe Place, Lewes, and Georges Funck, engineer, of Violette, Quinton Road, Coventry. GB107277 (1916). Sparking plugs for internal combustion engines. Guy St Barbe Sladen Watkins, engineer, of Coombe Place, Lewes. GB120367 (1918). Draw-bar for horse-drawn vehicles and implements. Joseph Henry Harper, agricultural engineer, of 44 Cliffe High Street, Lewes. GB125307 (1918). Portable cinder sifter. Thomas Alfred Walker, engineer, 68 Prince Edward’s Road, Lewes. GB129018 (1917). Submarine mines. Hugh Jones Williams, The Bungalow, The Avenue, Lewes, electrical engineer. GB179586 (1921). Manufacture of plastic materials. William Petersen, British subject, of 6 Lloyd’s Avenue, London, EC3, and Ernest Victor Clark, British subject, of 56 St Anne’s Crescent, Lewes. GB240386 (1925). Processes and compositions for the treatment of cement, concrete and the like. Charles Henry Carey, of 10 Mount Pleasant, Lewes, a subject of the King of Great Britain. GB241357 (1924). Toasting appliance. Charles William Ivor Thomas, of Little Owsden, Lewes, a British subject. GB268623 (1926). Adjustable door-closer for motor-car doors. Albert Easton, 120 Malling Street, Lewes, British subject. GB313736 (1928). Hand trucks and the like. Thomas Watson, 146 High Street, Lewes, British subject. GB406732 (1932). Manhole covers and frames. John Every, of Phoenix Works, Lewes, of British nationality. GB446020 (1934). Bungs and like closure devices. Alfred Hamer, of Dolphin Hotel, St Nicholas Lane, Lewes, British subject. GB504636 (1937). Device for measuring brake power on vehicle wheels and other rotary elements. Filed 1937. Harold Laurens Noel, of West Cottage, 6 Station Street, Lewes, British subject. GB560481 (1943). Machine for drilling grains and seeds. Gregor Charles Stewart, 11 Albion Street, Lewes, Scottish nationality. GB563607 (1943). Potato planting machines. Lewis Pearse Greenwood, a subject of the King of Great Britain, of Overbrook, Swanborough Farm, near Lewes. GB583376 (1944). Cranes. Clifford Edwards Limited, a British company, of South Ridge, Houndean Rise, Lewes, and Albert Lambourne, of Wickhurst Poynings, Hassocks, a British subject. Marion Smith and Robert Cheesman both contacted us to point out an error in the final section of this item in Bulletin no.86. The Albion Street building that was constructed as the Lewes School of Science and Art, and served later as the Borough Museum and then the Lewes Library, is not today a private residence. It is the offices of the Lewes architects Mackellar Schwerdt. Surgeon-dentist Mr Sinclair of No.57, Old Steine, Brighton, advertised in the 6 August 1838 Sussex Advertiser that his services were also available in Lewes every Tuesday afternoon at No.12 East Street, “from one to four o’clock punctually”. In response to the photograph published in Bulletin no.85, John Davey provided this colour photograph of the houses on Malling Street demolished to make way for Phoenix Causeway. This photograph was taken in 1965 or 1966, at the suggestion of his father, as it was known then that the houses were likely to be demolished. Colin Brent’s ‘Georgian Lewes’ (page 45) identifies the houses as 46 & 48 Malling Street, and enables them to be linked to Judy Brent ‘s Cliffe tenement analysis and to local directories. The large central chimney stack suggests an origin as a substantial house originating no later than the 17th century, but later extended and subdivided. As is common in Lewes, the facade has been updated, but the superficial impression of polite symmetry does not survive careful inspection. This house was originally on a large plot that extended from 46 to 66 Malling Street and included Thomas Street. 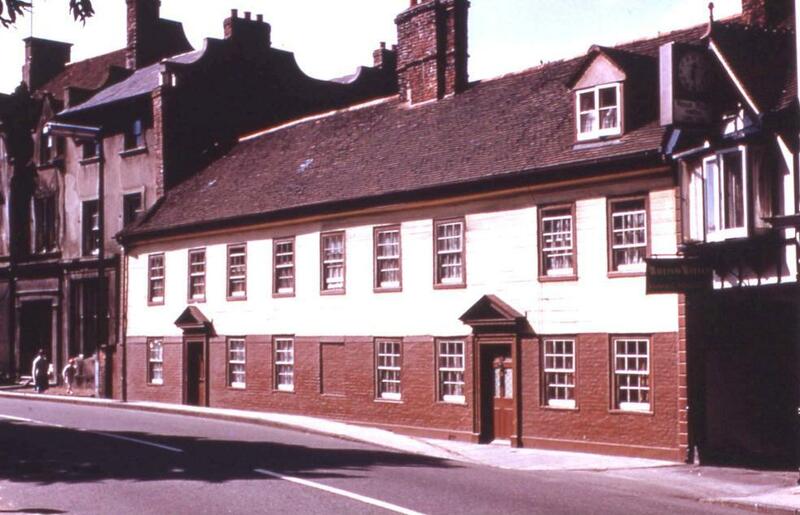 Called ‘Baydens’ in the 17th century, the property was owned and occupied by the Gaston family in the 18th century. No.46 was associated with the 19th century Hillman, Elphick and Berry families, all important Cliffe merchants and businessmen. No.48 passed from the Gastons to the Wellers, builders & undertakers, shortly before Queen Victoria came to the throne. The Weller’s business was still here when the houses were demolished. In the 1920s No.46 was occupied by George Frank Burtt, the engineer and railway & postcard photographer. This entry was posted in Art & Architectural History, Economic History, Lewes, Local History, Maritime & Naval History, Transport History. Bookmark the permalink.